Mercury vapors drive people crazy. Danbury hatters went mad from it. The fumes from 19th-century wallpaper killed Napoleon. So the Federation of British Cremation Authorities is - properly - considering charging $200 per corpse to pay for filtering the mercury poisoning the air around crematories. Jolly good. 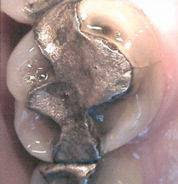 Although harmless as an amalgam dental filling, mercury in vapor forms poisons. Isaac Newton tried to convert mercury to gold by evaporating it and suffered "a distemper that seized his head," he wrote. One of his hairs was found to have 15 times more mercury than is normal. The British Daily Mail says crematoriums could become the single biggest cause of mercury pollution in the U.K. by 2020. Some 70 million cavities are filled with mercury amalgam each year in the United States. Connecticut has long experience with the toxin. Hat makers got the so-called Danbury shakes while making felt fur hats there. (They washed pelts with mercury nitrate.) So many suffered from the slurred speech, drooling and psychosis of mercury poisoning that people began to speak of the mentally ill as "mad as a hatter." So talley ho! with the surcharge. Connecticut should consider crematorium filters as well. In response to the Jan. 12 editorial "Taxing The Dead's Teeth," bravo! There is much to be said for ridding our environment of mercury. I take issue, however, with The Courant's sentiment that mercury amalgam is harmless. I once was one of those "mad hatters" to which the article refers. In spite of copious rounds of doctors, hospitals and nasty psychotropic drugs, each spring and fall season for me brought on a psychosis that included hallucinations, irrational behaviors and generally bipolar tendencies. And, yes, I had the diagnosis to prove it. Several years ago, however, after having those so-called safe amalgams removed from my teeth, presto! I recovered completely and have kissed the psychiatrist goodbye. Safe? Hah. Tax away. Click here to visit Nory's website. I see that their own studies did find lesions caused by mercury but that they still recommend their use . . . but that people with mercury fillings should be told not to chew gum as this releases too much mercury. That seems to contradict their argument for use. Thanks for posting my response, Dana. On May 16th, 1986, I was diagnosed with Bipolar Disorder I with psychotic features. It was, my doctor told my husband, David, a condition caused by a “chemical imbalance” – a condition that would only become progressively worse over time. It was a life sentence – pure and simple – or so I believed for the sixteen and a half years that followed. I experienced mania with regularity, during which time I would be awake for days and weeks at a time. I was hospitalized on at least twelve occasions. Many other times I stayed at home as our health insurance only covered catastrophic occurrences. When I was not manic, I entered into deep depressions or simply a flat feeling brought on by taking large doses of lithium, tranquilizers and anti-depressants. For some months after my first “episode” I lived in a state of black outs – awakening now and again into my life’s circumstances. It was a little like coming in and out of a dream state. I never knew what I would be awakening into and how long consciousness would last. As well as the mania and depression, I endured a condition known as attention deficit disorder. I was unable to think clearly, follow directions easily, or organize my time. I had difficulty retaining information and often forgot the names of people that I had known for years. …A number of medications were tried, singly and in combination. None of the atypicals were useful in managing manic or depressive episodes…. She was most stable on her current medications which consist of: Depakote 1500 mg, Tegretol XR 400-600 mg, lithium 300-600 mg per day depending on side effects, Levothyroid .75 mg, and Topomax 100 mg. She uses Lorazepam (a tranquilizer) as needed for sleep. On top of this, I developed irritable bowel syndrome – for which my gastroenterologist informed me there was no cure. On top of the psychiatric medications, I took medications for that condition. Days went by that all I wanted was to die. In May of 2002, I began treatments with a nutritionist, Dr. Roger Sylvestre, who recommended that I have my amalgams removed. From the time of removal of the first amalgams, I noticed a change in my mood and demeanor. I have had no episodes of mania or depression for the last three years, during which time I have had no need of psychiatric medications, hospitalization, or therapy. I have completed a Masters degree in Education and have recently been hired as an English teacher in a State school. These were just dreams to me before having the mercury removed from my teeth. 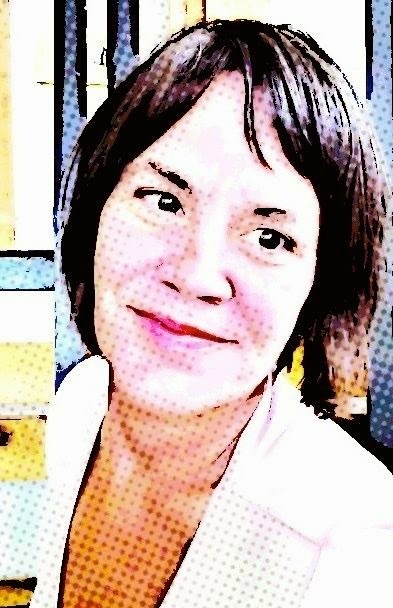 Now that I am mercury free, I am able to be thoughtful, happy, and productive and “normal.” On September 29 2005, my psychiatrist gave me a clean bill of health. Thank you so much for posting your encouraging story of recovery!